I have always loved tea! Hot or cold. Almost any flavor. I grew up drinking tea! So over the 24 years of my life I have developed a tea obsession! 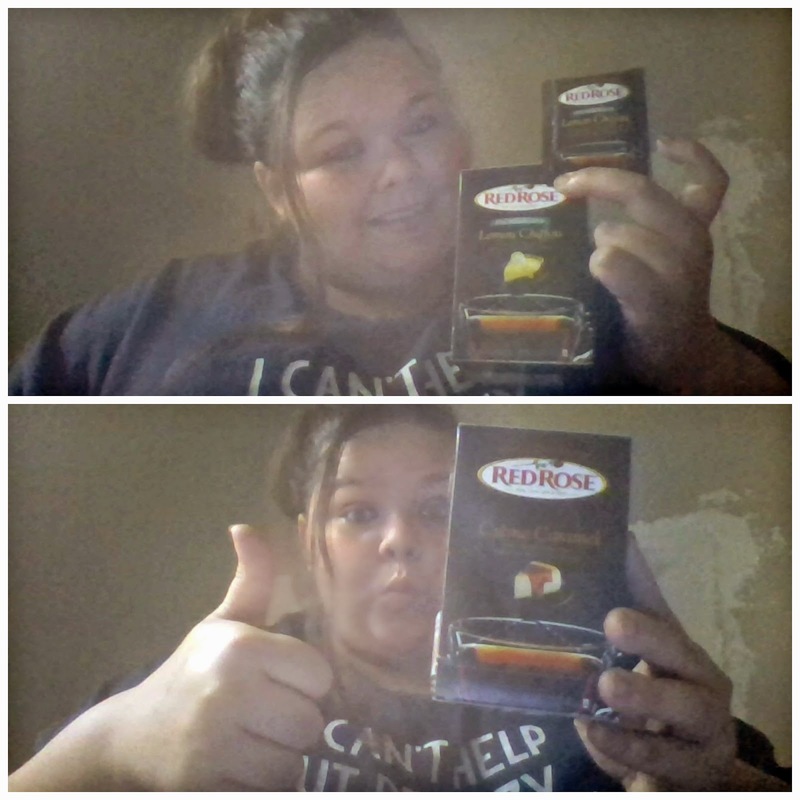 Red Rose has so many tea's to pick from, I am so glad they picked for me on what to send! The first two flavors I tried was the English Breakfast & Earl Grey! 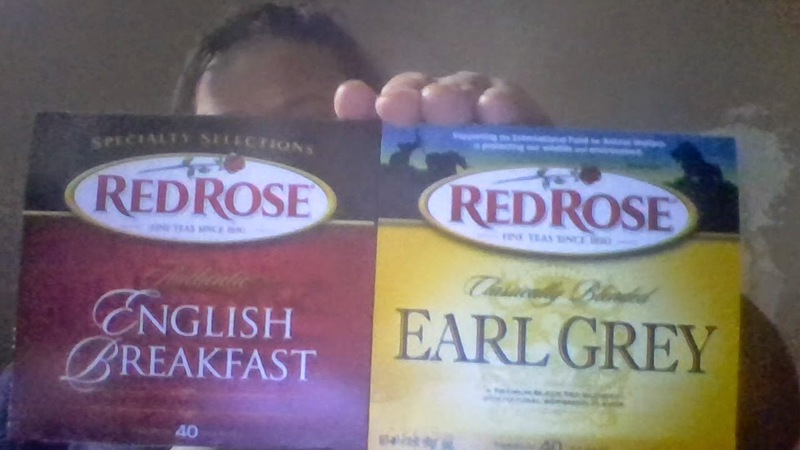 The English Breakfast is my favorite out of the bunch but Earl Grey is good also. I love the fact that they are zero calories! With me trying to diet I am noticing that the flavored teas make it easier to drink without sugar, this is a goal of mine! I am a sucker for anything sweet that is zero calories! So when I got the Simply Indulgent flavors I was a little unsure I mean who has ever had Lemon Chiffon or Creme Caramel that was zero calories! So I hurried to the kitchen put my water on to boil and made me a nice cup of the Creme Caramel and boy I was one happy momma. This tea was more then indulgent! I was in heaven! The Lemon Chiffon is really good also! 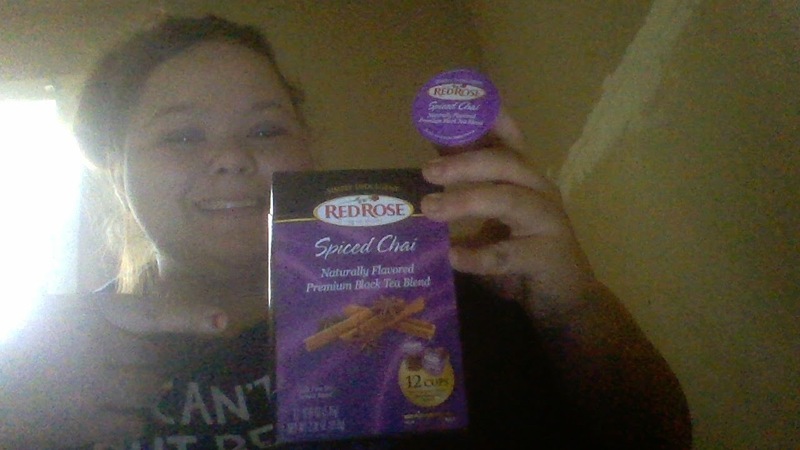 The Spiced Chai sounds so good and the smell is amazing! My friend and I enjoyed a cup of this together. The Spiced Chai some would say would smell over powering (my first thought!) But when I made a cup and had my first sip I knew it was good! And overpowering it was NOT! I highly suggest trying Red Rose! Guess what?!? There is a giveaway! I LOVE iced tea! In the summer we make white silver needle tea with blueberry herbal teal together over ice. Delicious! I love iced tea, for sure. But there is nothing like a cup of hot tea to relax and soothe you. My favorite is Earl Grey. Thanks! Tea is my drink of choice. I love flavored hot tea & iced regular unsweet tea. Thanks for sharing & offering the giveaway. I like both hot and cold tea. I can not pick between the two. I have been know to have both on my side table at the same time.